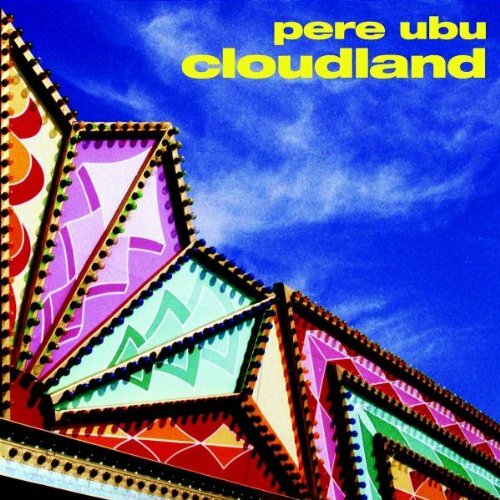 Cloudland was the second album released by the mighty Pere Ubu during their “pop phase”; in fact this one is much poppier than the previous year’s The Tenement Year, they really went for it. The roster of producers includes Stephen Hague (Pet Shop Boys, Erasure) who did five tracks including the superb Waiting For Mary. Daniel Miller was asked to mix two tracks and he brought me in to help him. So we set up Daniel’s jaw-dropping synth rig at Konk Studios in Muswell Hill, a studio much used for Mute sessions. Formerly a working men’s club, it had been bought and converted by The Kinks for their own use. It had the perfect mixture of homely comfort and high-tech desirability. Daniel got a producer’s credit for Love Love Love and quite right too, this mix is full on Pere Ubu vs The Normal, with Dan’s ARP 2600 sequence running through the whole thing. The other mix we did was Why Go Alone?, which must be one of their prettiest songs, and most definitely makes the grade as a Rico personal fave. I’d forgotten how great this album is. I’m gonna dig it out and blast it in my car. Yow! Total Monk love for “Cloudland” and I’m a “Modern Dance” kind of guy. 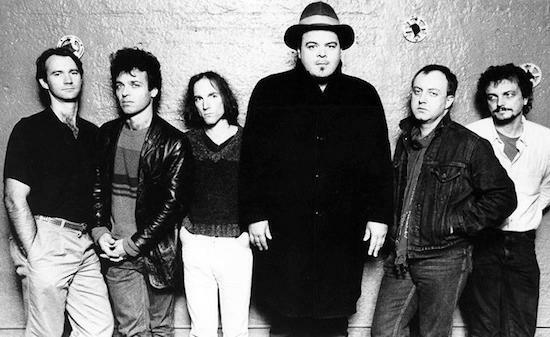 While some hardline Pere Ubu fans might have looked askance at their “going pop” how can I do anything but soak up such a magnificent job of it? It was an amazing period for them, and I challenge any people who “hate” Pere Ubu [and I know more than a few] not to give this material a shot since it was a perfect synthesis of their 60’s derived “avant garage” coupled with magnificent pop that crept in from left field armed with gorgeous harmonies in the case of “Why Go Alone?” It sounded like a long lost Association track as performed by the mutant offspring of Eno era Roxy Music. I always thought that Pere Ubu were among the handful of people who heard the first Roxy Music album and took it as a starting point of their very own direction instead of just emulating Ferry as did countless others. I saw Pere Ubu at the Hopscotch Festival in 2013 and it salvaged the wristband [no thanks to John Cale, on whom we had to walk out on due to his bass fracking sound that weekend! They are still incredible. The vast disparity in the production credits of that album recedes into the background due to the simple fact that the material and performances are so strong and appealing, that one fails to notice the seams in the finish. I can only concur, and your description of Why Go Alone? is spot on.